1 1. Take my life, and let it be Con - se-crat - ed, Lord, to Thee; Take my mo - ments and my days, Let them flow in ceaseless praise. 2 2. Take my hands and let them move At the im - pulse of Thy love; Take my feet, and let them be Swift and beau - ti - ful for Thee. 3 3. Take my voice and let me sing Al - ways on - ly, for my King; Take my lips, and let them be Filled with mes - sag-es from Thee. 4 4. Take my sil - ver and my gold: Not a mite would I with-hold; Take my in - tel - lect, and use Ev - ry powr as Thou shalt choose. 5 5. Take my love, my Lord, I pour At Thy feet its treas-ure store; Take my-self and I will be Ev - er, on - ly all for Thee! Download ppt "1. Take my life, and let it be Con - se-crat - ed, Lord, to Thee; Take my mo - ments and my days, Let them flow in ceaseless praise." 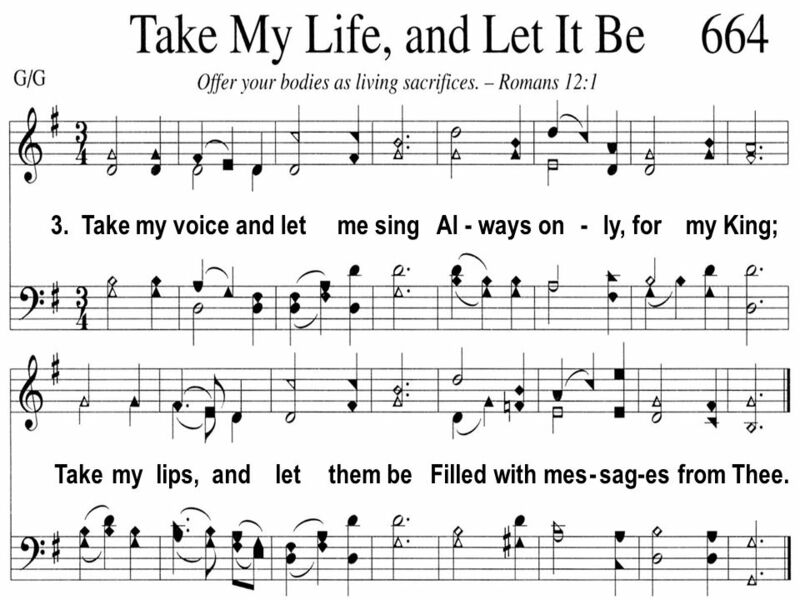 Take My Life and Let It Be Take my life, and let it be Consecrated, Lord, to Thee; Take my moments and my days, Let them flow in ceaseless praise. Let. I Want My Dollar Back Saturday, June 30 th, 2012 & Sunday, July 1 st, 2012. 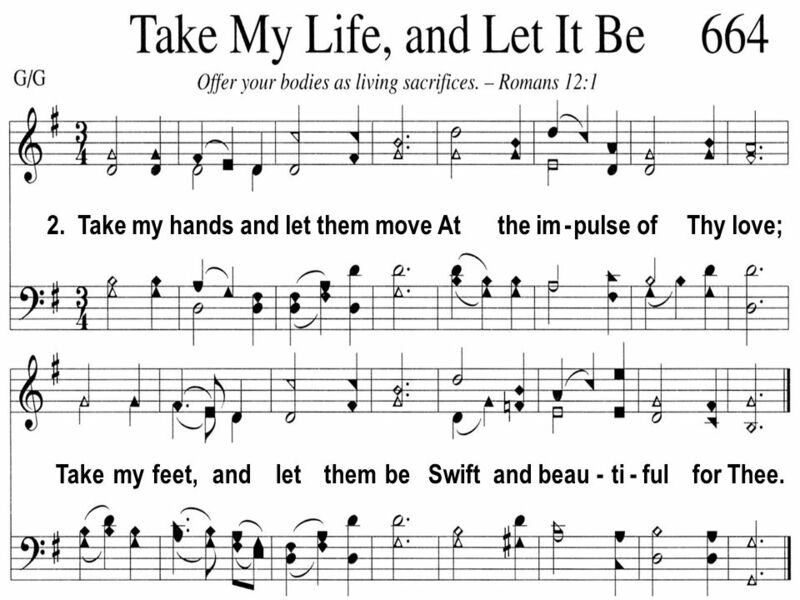 Take My Life and Let It Be Take my life and let it be Consecrated, Lord, to Thee; Take my moments and my days Let them flow in ceaseless praise, Let them. Welcome to Full Life at Frintwirth Leisure Centre your hosts tonight are Fliss & Fred some of our worship material is © the Archbishops’ Council or used. Take My Life and Let It Be 1. 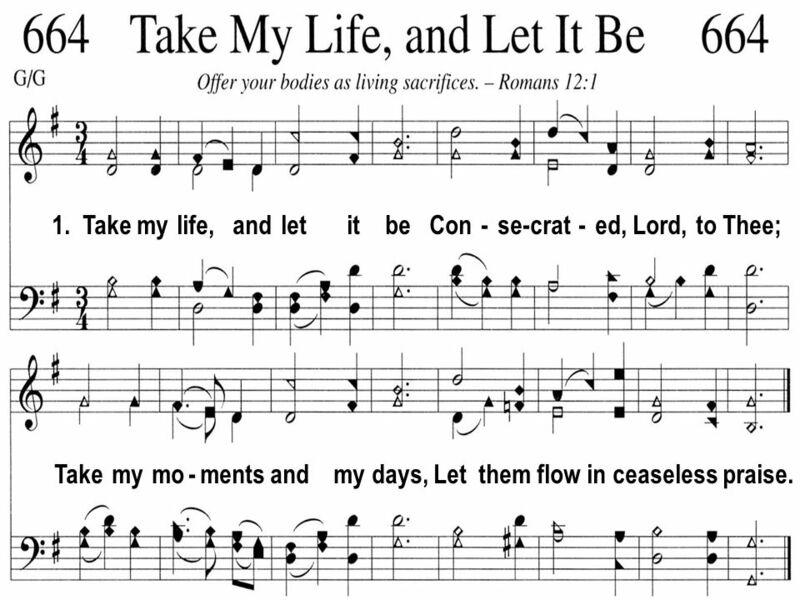 Take my life and let it be Consecrated, Lord, to Thee; Take my moments and my days-- Let them flow in ceaseless praise, Let. 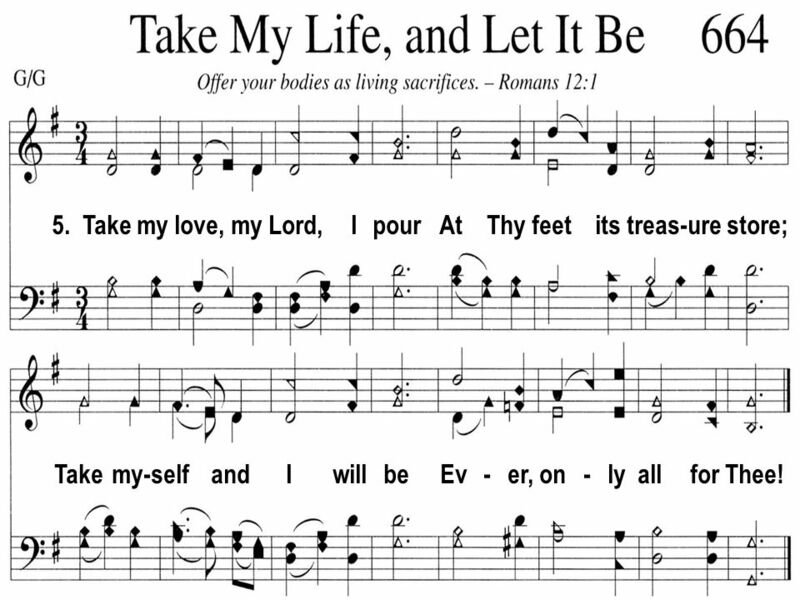 TAKE MY HEART Take my life; all I would do I devote it, Lord, to you. 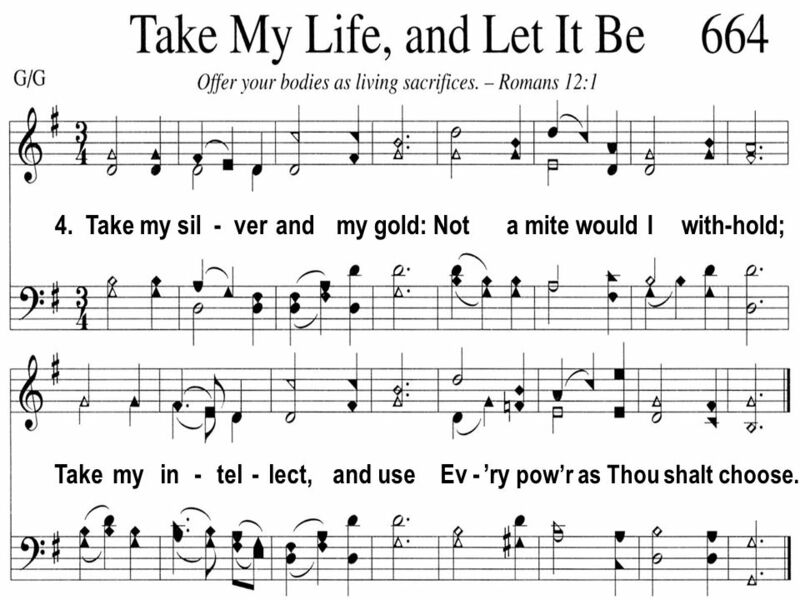 Take my life all that I will do I entrust it, Lord, to you. Take my voice, let it. CCLI # TAKE MY LIFE Music © 2006 Beth Manchester Words (1874) by Frances Havergal – from Take My Life (2006) These words must only. Lord Make Me Instrument Of Worship.